Sit back, relax and take the bus: Why Bus travel in NEw Zealand is awesome! 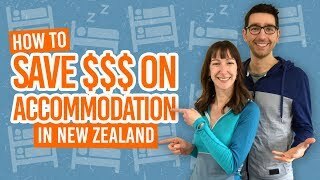 Travelling by the “peasant wagon” doesn’t have the most glamorous reputation but we can think of a few great reasons why travelling New Zealand by bus is a good idea. New Zealand’s most extensive public transport network is the bus network, and New Zealand bus companies make it more than “just a bus ride”. We’ll go through those points in this list of why bus travel in New Zealand is awesome! When we say “bus travel”, we mean the coaches that travel between New Zealand’s towns and cities. New Zealand currently has one affordable bus company that offers this service nationwide: InterCity. For other bus travel options, take a look at Kiwi Experience and our article on Bus Networks in New Zealand. Relying on an experienced bus driver who knows where they are going and can tackle the windy roads is often preferable to having to drive yourself. Get lost in your thoughts – something you might not usually get time to do with a hectic backpacker lifestyle. Longer bus journeys will include coffee stops – a perfect opportunity to try that famous New Zealand coffee. Bus travel will get you from A-B relatively quickly. Plus since you are not the driver, there is none of that “Honey watch the road!” nonsense, you get to enjoy all of the scenery! It’s the cheapest transport method in New Zealand. Compare the bus passes at What’s the Difference Between InterCity Backpacker Bus Passes? and check out Skip Bus for cheap rides on the North Island. Many of the bus journeys use coaches with free Wi-Fi. The connection comes and goes depending on coverage. Most bus drivers provide commentary on places you travel through. Both locals, tourists and backpackers use coach services so it’s a chance to talk to a variety of people. Check out more ways to meet people in 8 Ways to Meet People When Travelling Alone in New Zealand. Some bus companies will pick you up from your hostel so it’s worth giving them a call. Otherwise, just show up at the specified bus stop 15 minutes before your departure time. Less cars on the road equals less CO² emissions! Simple! See other ways you can be a green backpacker here.